ACEC California joined other members of the Fix Our Roads coalition, the Governor and Speaker at a press conference in Oakland last week to highlight the need to pass a transportation funding package this legislative session. The press conference was followed by a listening roundtable in Walnut Creek where members of the Legislature heard from local officials, business and labor about transportation challenges in their region and why we think the Fix Our Roads coalition principles are the right ones to guide a solution. 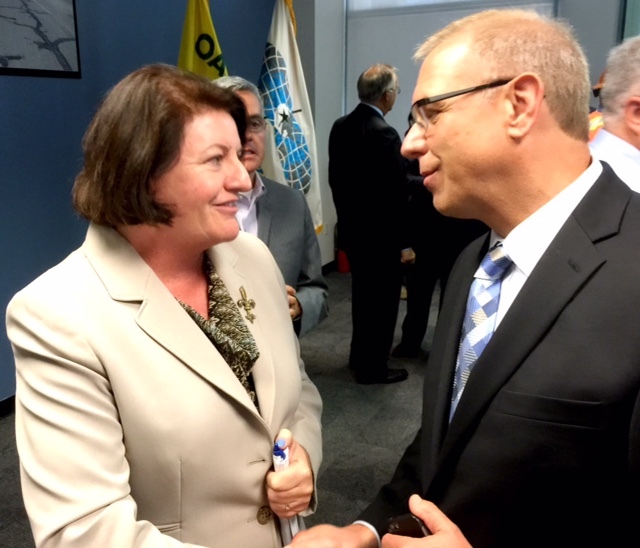 Assembly Speaker Toni Atkins and Brad Diede, executive director, ACEC California. 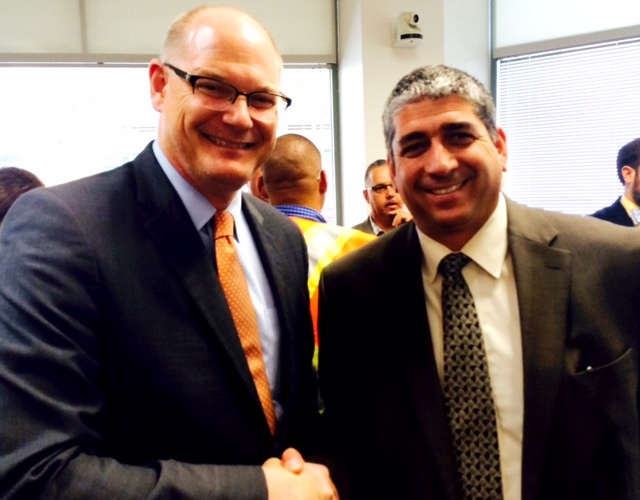 Transportation Agency Secretary Brian Kelly and Ralph Guida, Guida Surveying. 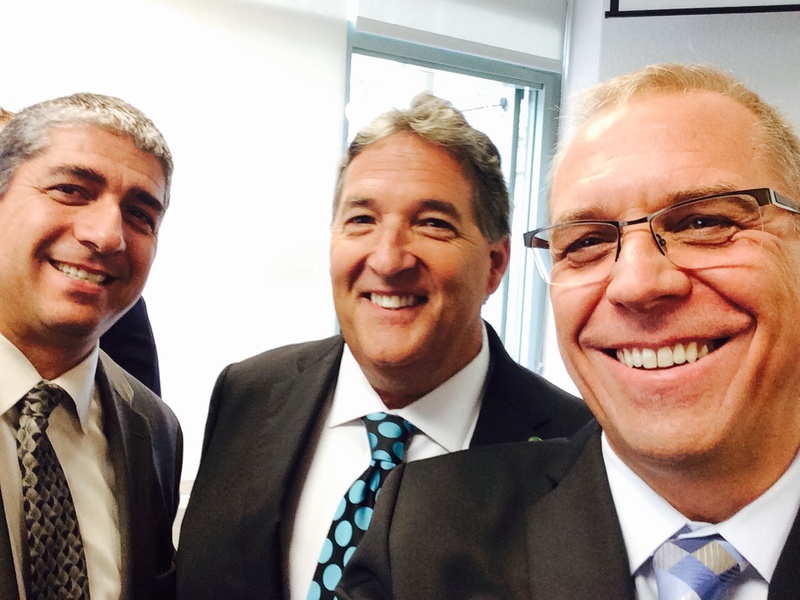 Ralph Guida, Guida Surveying; Assembly Member Jim Frazier; Brad Diede, executive director, ACEC California. 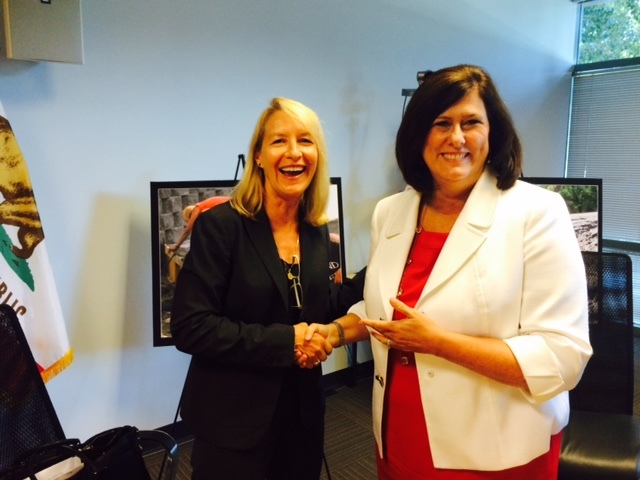 Agnes Webber, Vail Cooper & Associates and Assembly Member Susan Bonilla. 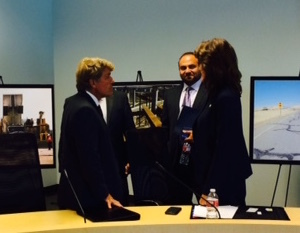 Stephen Boll of Kleinfelder, speaking with Assembly Member Catherine Baker and Assembly Member Adrin Nazarian.